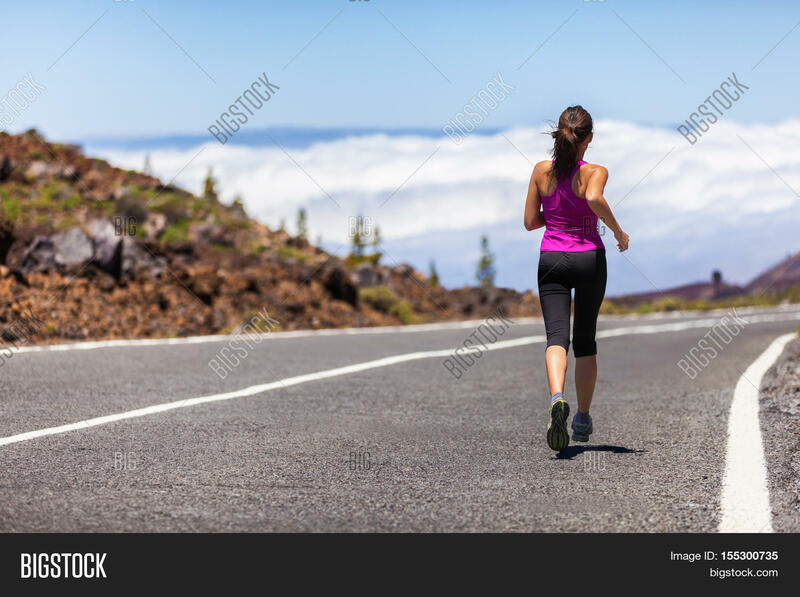 Outdoor fitness woman runner running on road. Sport athlete running woman runner jogging outdoor training for marathon race run. 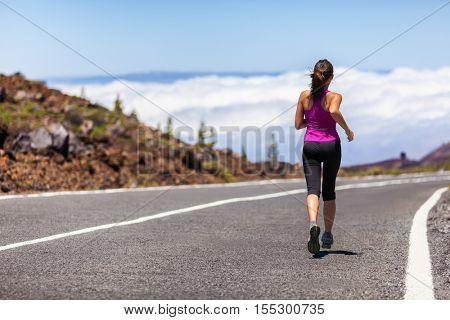 Young woman running outdoors working out cardio on nature landscape.